It's 1854 and sixteen-year-old Molly would give anything to change her circumstances as a lowly servant in a posh London house. So when she hears of an opportunity to join the nurses who will be traveling with Florence Nightingale to the Crimea, she jumps at the chance. The work is grueling, the hospital conditions deplorable, and Miss Nightingale a demanding teacher. Before long, the plight of British soldiers becomes more than just a mission of mercy as Molly finds that she's falling in love with both a dashing young doctor and a soldier who has joined the army to be near her. But with the battle raging ever nearer, can Molly keep the two men she cares for from harm? I thought a good historical YA book would be my a much needed break from paranormal YA. That's why I picked up In The Shadow Of The Lamp as soon as I got it. Unfortunately, it fell a bit short. In The Shadow Of The Lamp is about a 16 year-old girl, Molly, who decides to travel to Turkey along with Florence Nightingale and other nurses and nuns in order to help the injured and wounded. There, under the most strenuous and dire circumstances, she discovers a lot about herself and the devastating repercussions of war. The way I see it, Molly didn't stop and think about the war and what it does to people and how wrong it is all that much, despite her rather gruesome narration of the injuries and the despicable conditions in the hospitals. I'd like her to express her discomfort for being in a situation like that for the first time, her emotions-let's not forget that she was just a maid before, which hardships obviously don't compare to being a nurse during the war-and not act like she was doing that her whole life. And what's with the healing hands? Never explained. 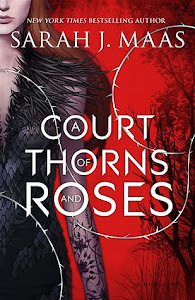 I think the author mainly focused on the romance element of the book, which may even forgive the lack of Molly's feelings towards the war if it was well written and believable. I'm afraid it wasn't. A girl's whose true love dies but still goes back to the man who is "convenient", admitting it was him all long and not the other guy pfft what she was thinking! is not a heroine in my book(no pun intended).At least no one to be taken seriously. That said, I liked the author's detail description of the nurses' travel to Crimea by ship portraying the terrible conditions of travelling long distance at the time. 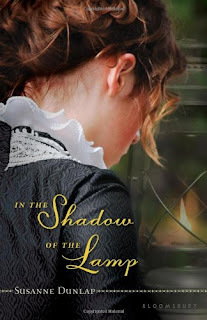 In The Shadow Of The Lamp may not be a thrilling read, but I think historical romance fans that don't read too much into a story as I do, could quite possible enjoy it. I think I can skip this one.